. كما يقدم Inverell Motel الكثير من الخدمات لإغناء رحلتك في إنفريل. إن واي فاي مجاني في جميع الغرف, تخزين الأمتعة, واي فاي في المناطق العامة, صف السيارات, خدمة الغرف هي جزء فقط من الخدمات التي تميز Inverell Motel عن باقي الفنادق في المدينة. استمتع بوسائل الراحة الراقية في الغرف أثناء إقامتك هنا. بعض الغرف تتضمن تلفزيون بشاشة مسطحة, اتصال لاسلكي بشبكة الإنترنت (مجاني), مكيف هواء, تدفئة, مكتب لمساعدتك على استعادة طاقتك بعد يوم طويل. يمكنك طلب اللائحة الكاملة للخدمات في الفندق ومن بينها حديقة. 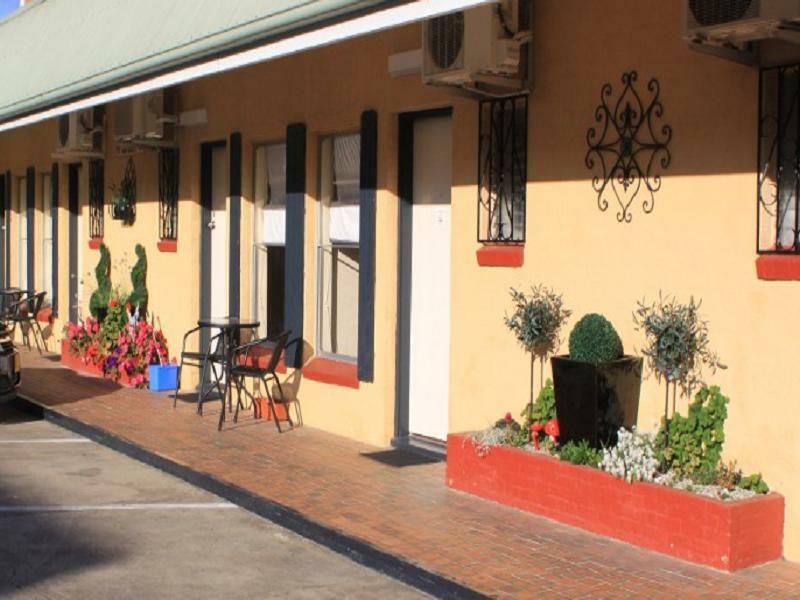 استمتع بخدمات لا يعلى عليها وعنوان ذو اعتبار في Inverell Motel . A very old motel from the early 1960's. 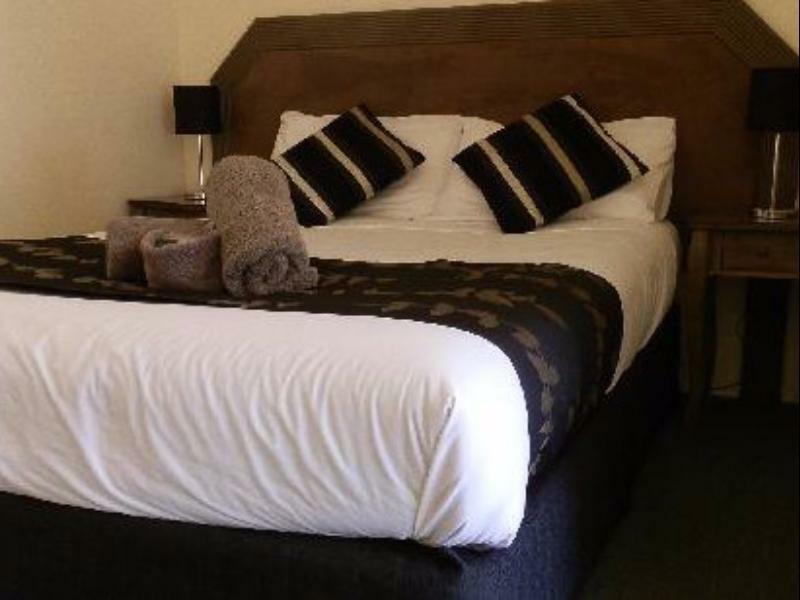 Excellently located to the CBD. Facilities changed little from new. Needs a major update. Not value for the tarrif sought. 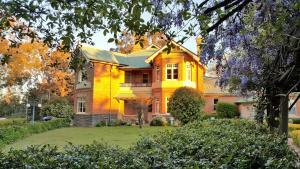 Located in the heart of Inverell, literally metres from shops and the centre of town. Friendly staff and clean. Room size could have been an issue if it was any more than one night. BYO soap. Well positioned close to shops and on the highway. Unusual room layout for our room but very usable and spatious. The room 11 had working TV and Air conditioner and electric blankets, the sheets and bed cover where new, the room had a fresh look. The shower was controllable to get the water the way you want it. Close to country link walk and rolled my luggage. Has car parking spots very safe.Couldn't phone to outside world only reception had to use public phone situated at front of motel. Nice location in the centre of town, but room was dingy with only the parking lot to look out at. My stay was fine. Room was a little small, but it was described at petite, so no surprise. Excellent location. Overall a good accommodation for a night. As per my previous stay, a very relaxing and comfortable experience. Efficient and friendly staff. I only stay for a night because it was a catch up with all my old school friend that went to Inverell high school. Clean, friendly and centre of town. Kindly let us check in early. Possibly the best $100 value rooms in Australia. Small but clean and well presented. Centre of town, but quiet. Local to supermarket and bakers. I couldn't work out why the room was not cold at night even though it was 5C outside, but that is definitely not a complaint! Lovely place , friendly and clean ..
메인스트릿에 있어 상점이나 음식점 이용하기가 편하고, 모텔의 연식(? )에 비해 내부는 상당히 깨끗하고 잘 정리되어 있음. 그리고 와이파이 속도가 정말 빠름. 인버렐에서 가장 좋은 모텔임. 가격은 좀 비싸지만, 인버렐에 있는 다른 숙박시설보다 훨씬 괜찮음. 오스트리아모텔, 모터인 등등 다른곳도 몇군데 가서 자봤는데 진짜 냄새나고 안좋았음. 와이파이 속도가 정말 빠름. 주차장도 넓게 잘 되있긴 한데, 인버렐 메인스트릿 자체가 워낙에 주차할 장소가 많고 차 세워놓기가 편한곳이라 주차장에 대한 메리트는 크게 없는것 같긴 한데 암튼 자체 주차장도 잘 되있음.